The 2000 vintage of Sperss is perfumed on the nose with blackberry, plum and dried herbs. On the palate Sperss is intense: full-bodied with black fruits, tobacco, dark-earth and a velvet-smooth finish. This is a powerful wine with great fruit, balanced tannin and nice acidity — this should age well for decades to come. 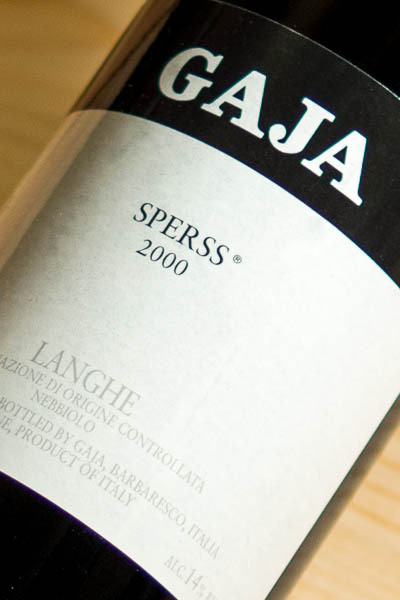 Sperss is Angelo Gaja’s crafting of a Barolo style of wine, though technically it’s classed as Langhe Nebbiolo DOC. No matter, this is a stunning wine. The word “Sperss” is Piemontese for “nostalgia,” an apt term for Angelo’s longing to return to Barolo production in 1988 using grapes grown on his Estate after years of absence. Be sure to read more about this wine in the Description section below. Expected maturity: 2015 through 2035. Food pairing: A powerful Barolo like Sperss pairs very well with braised and grilled beef — think well marbled rib-eye and New York steaks grilled over hot coals. Sperss is wonderful with stews made from game meats like venison and wild boar, and pair nicely with earthy fruits like mushrooms and white truffles. Barolo wines like Sperss also go very well with sharp and stinky cheeses, like robiola, gorgonzola and other blue-veined cheeses. 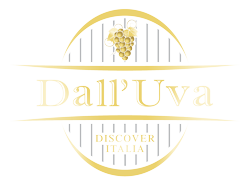 Visiting Gaja: It’s tough to get some time at the Gaja cantina in the center of Barbaresco, but you can give it a try by calling them at +39.0173.635.158. If you can’t get in, don’t fret — have lunch or dinner next door at Ristorante Antine and enjoy a bottle of Gaja Sperss from their wine list. Salute! Learn More: Gaja is BIG these days, and there’s no useful website managed by the producer themselves. The best source I’ve found on Angelo Gaja is this October 2011 article in Wine Spectator by Mitch Frank on the life of Angelo Gaja — well worth a read if you’re a Gaja wine fan.